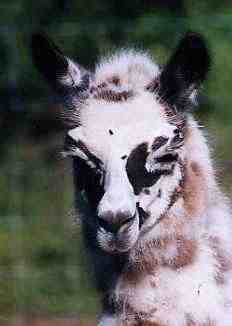 As you can see, this boy has very unusual markings. 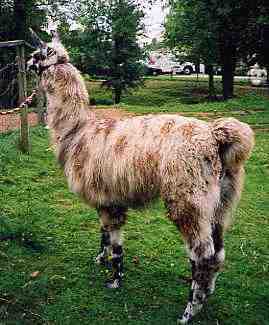 He belongs to Elkview Llamas and is boarded here, having a great time running around and wrestling with Chinchero and Fireball. He is a very friendly, nice polite llama.